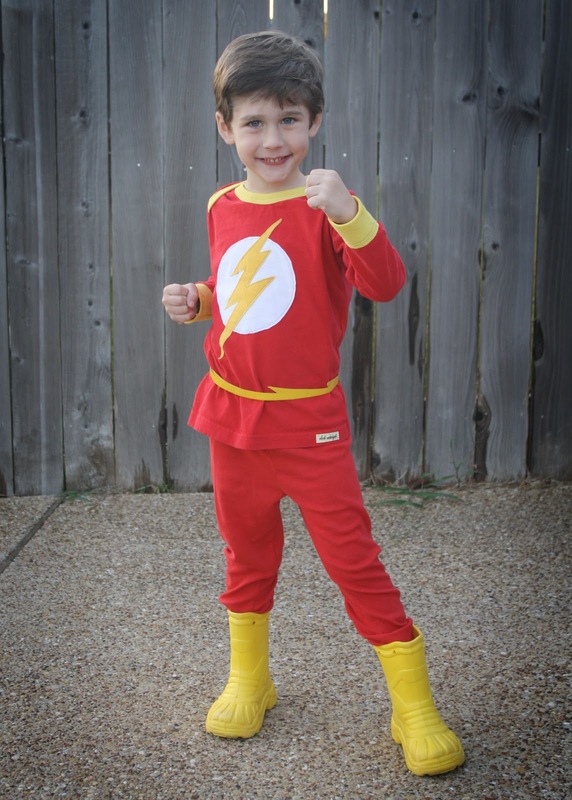 Bennett Brinson Gamel: Fighting Cystic Fibrosis: Happy Halloween!! from Superman and The Flash! 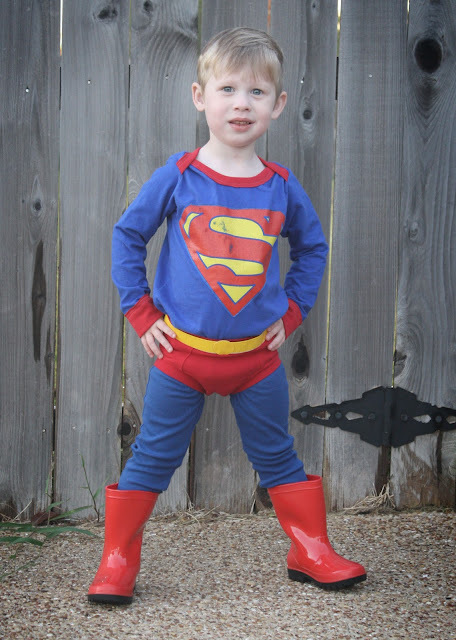 Bennett is in love with Superman. Oliver is in love with weather, electricity and all things fast. 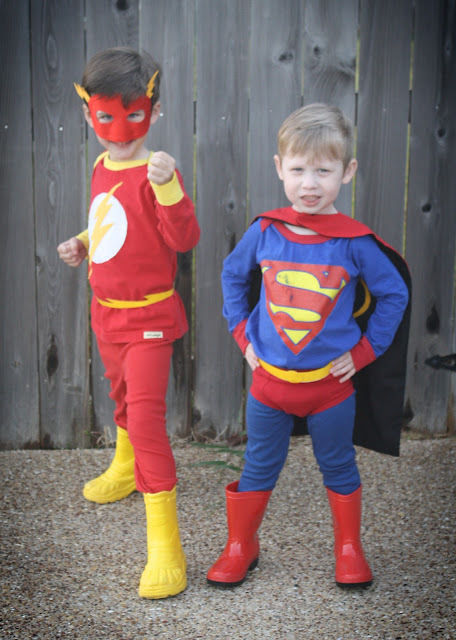 So, it only made sense that, this year, these two would be the super hero characters "Superman" and "The Flash." We decided to do a homemade costume this year for Bennett since we already owned the cape* and pajama pants. The great thing is every bit of their costumes can be used and worn again. 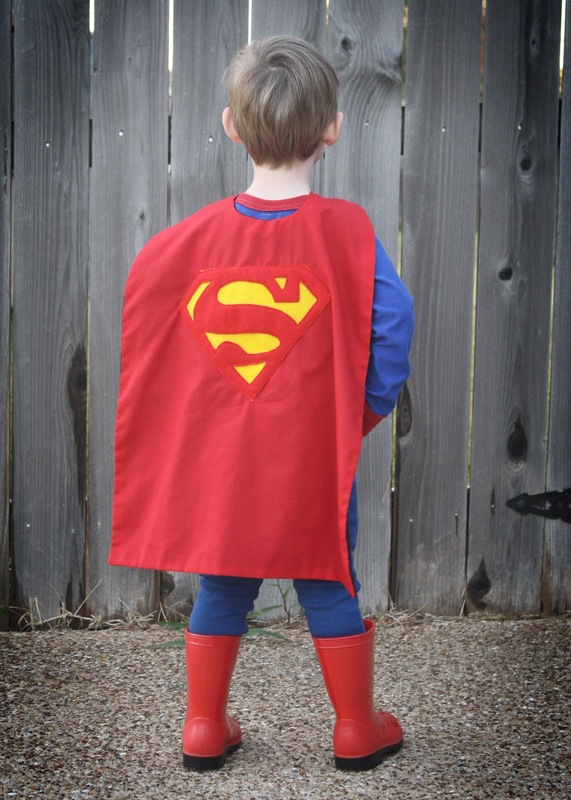 *Bennett's cape is really cool because it can be turned inside out to be a Batman cape. Bennett's shirt is from a really talented gal on Etsy who upcycles vintage tshirts. The shirt is actually made to be worn as an every day shirt so we'll get plenty of use out of it. The red rainboots are from Kmart. The belt is made from yellow duct tape. 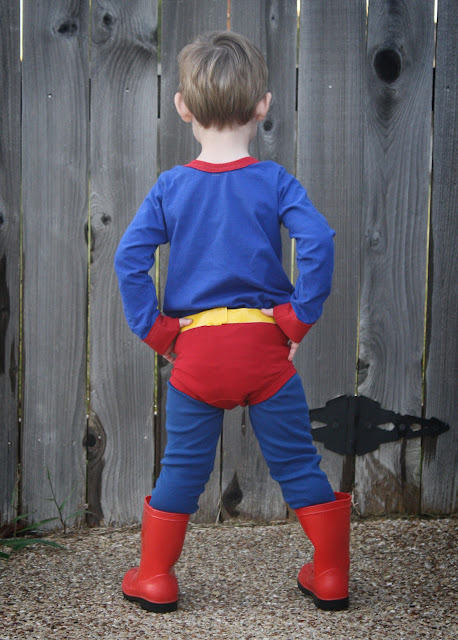 Ok, my favorite part of Bennett's costume has got to be his tiny red underwear. I couldn't find red underwear in toddler size so I found another great seamstress on Etsy who makes underwear for kids. When we are done playing with it on the outside of his clothes and once Bennett is fully potty trained, we'll use them as actual underwear. Oliver's costume is similar to Bennett's. 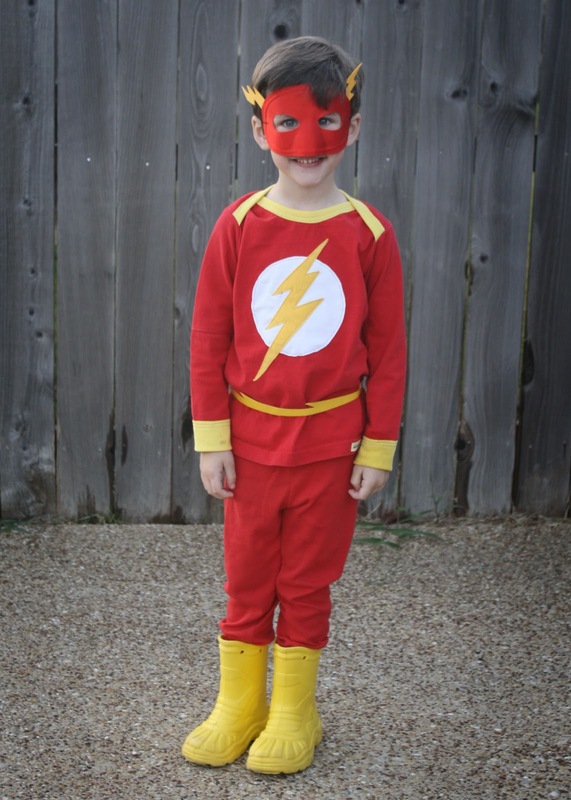 I found Oliver's mask at a party store and used foam to add some lightening bolts. His shirt was made and appliqued from old tshirts by a gal on Etsy. His pants are part of a red Angry Bird pajama set. His boots are Crocs Boots I found on Ebay. Oliver's belt was handmade by Dad out of duct tape. The boys love their costumes, which makes me so happy. 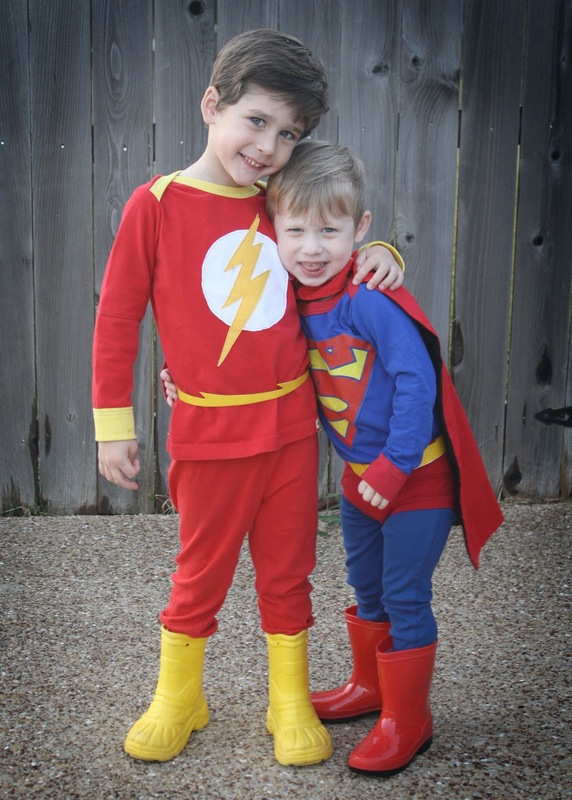 They have waited so patiently to wear their costumes and to go Trick or Treating. I'm so glad this day has finally arrived! My firstborn, I love you.